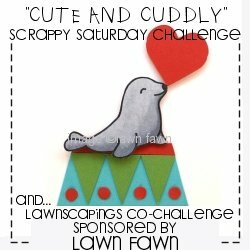 I made a card this morning for the Cute and Cuddly challenge at Wee Memories and Lawnscaping. My two favorite challenge blogs together doing such a fun theme... how could anyone pass up that opportunity. Here is my cute and cuddly creation. 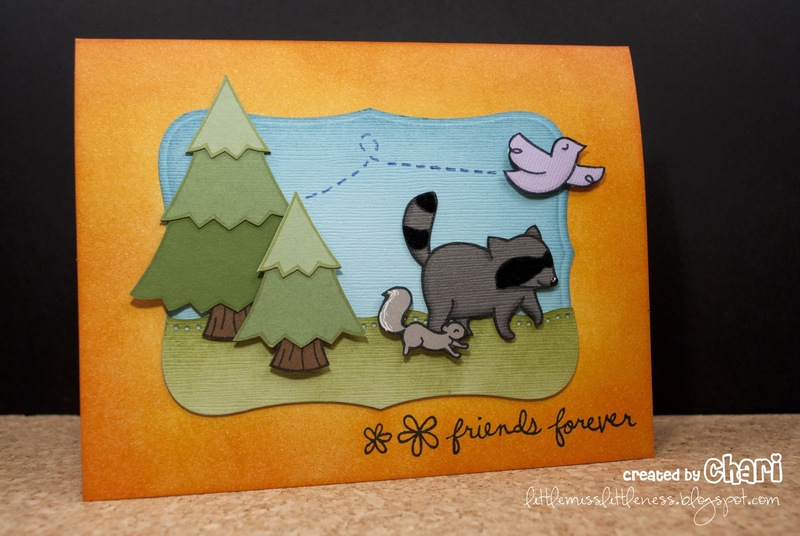 On this card I used Lawn Fawn sets Critters in the Forest, Critters in the Burbs, Fly Free, and Sophie's Sentiments. I used Wild Honey & Worn Lipstick Distress Inks to create the background and Broken China & Peeled Paint to distress the blue sky and green grass pieces. Thanks Britta for your inspiring Distress Ink lessons! This is entirely way too adorable. Congratulations on your last win too at Lawnscaping. Well deserved! Oh my goodness! This is so cute. I love how you created the backgrounds with distress inks. 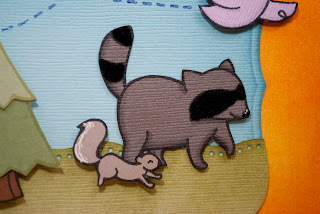 And your critters are just adorable as always! 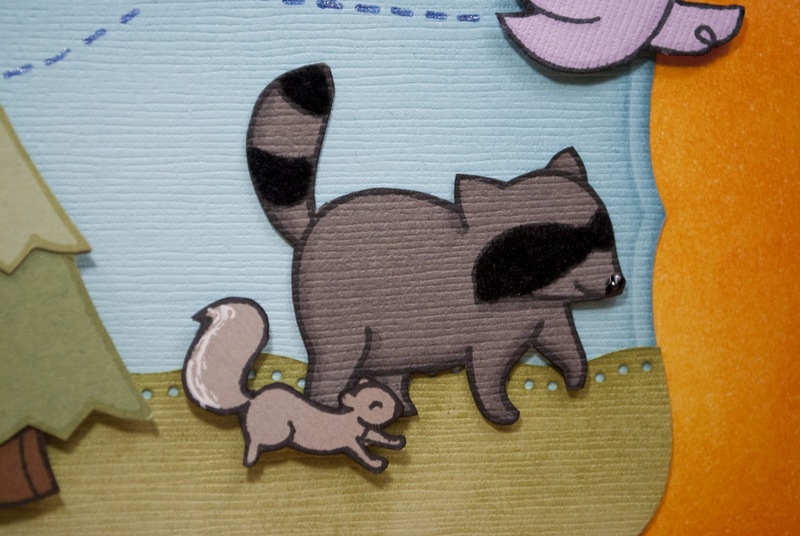 This card is indeed cute and cuddly! I love it! :) Thanks for playing along in the Lawnscaping/Wee Memories bonus challenge. I love your creations! Really cute card Chari, Thanks so much for joining us at the Wee Memories challenge this week. Very sweet card! All the best for your upcoming wedding....my daughter's wedding is April 2nd!! 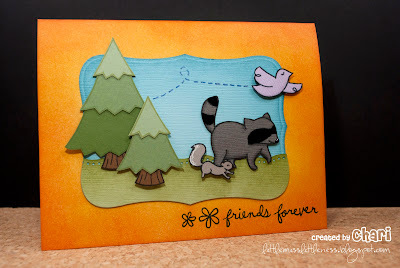 I'm in love with your critters! This little scene is just amazing. Congratulations! Congrats on your honours for this card! Just a darling little scene you stamped! Definitely cute and cuddly! This card is amazing, girlie! I seriously need to make time to play with this set- isn't it a crime that I've had it for a month and still haven't played with it?! :) Thanks for the inspiration!